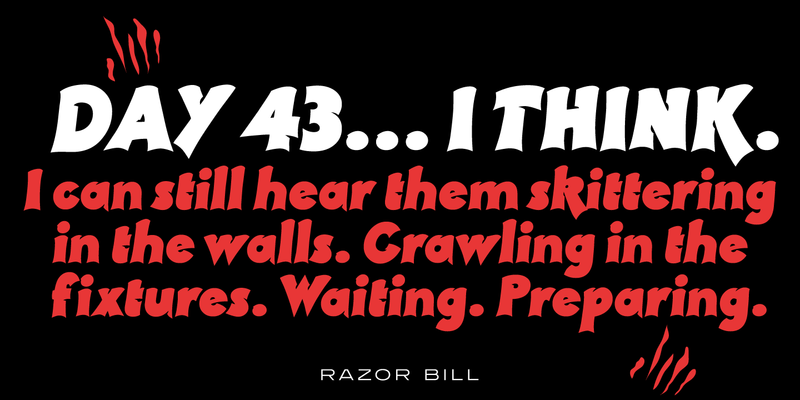 Razor Bill is a decorative typeface. Its digital version was crafted and released by Steve Jackaman (ITF) in 1997, and is a revival of the original typeface from Face Photosetting in London circa 1972. 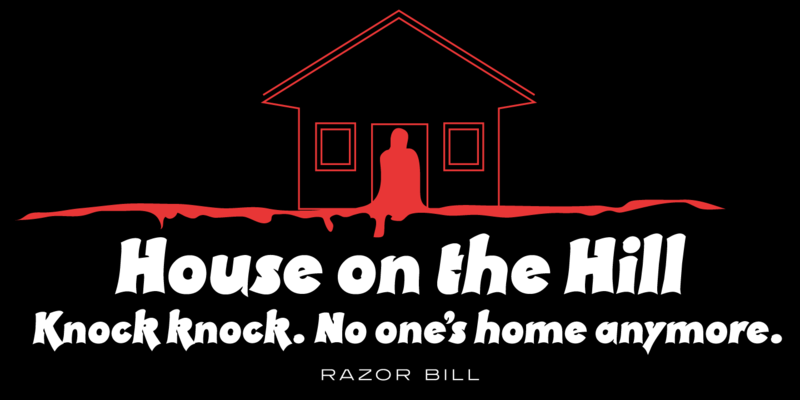 Razor Bill has a supernatural or horrific feel, which is underscored by the small cuts into the typeface. 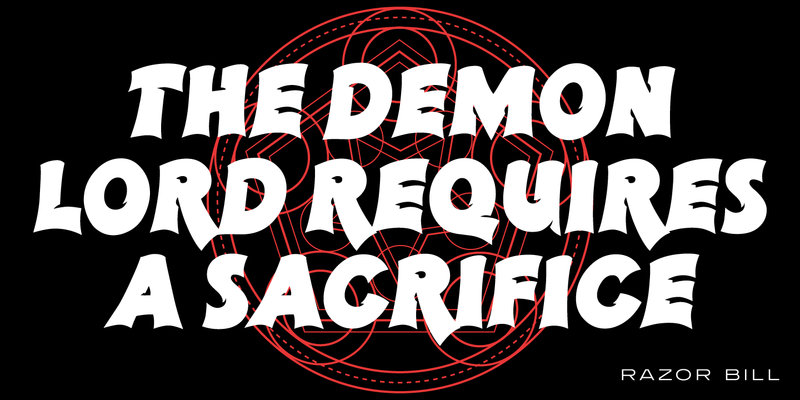 Whether it be at display or subhead sizes, this typeface is a cut above the rest! 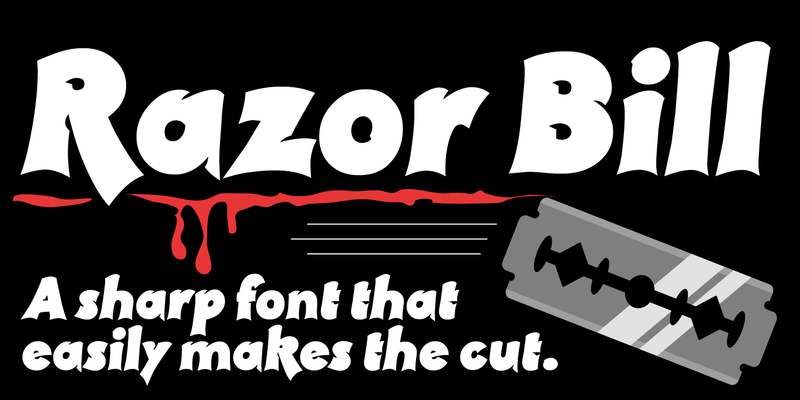 Razor Bill is a trademark of International TypeFounders, Inc.